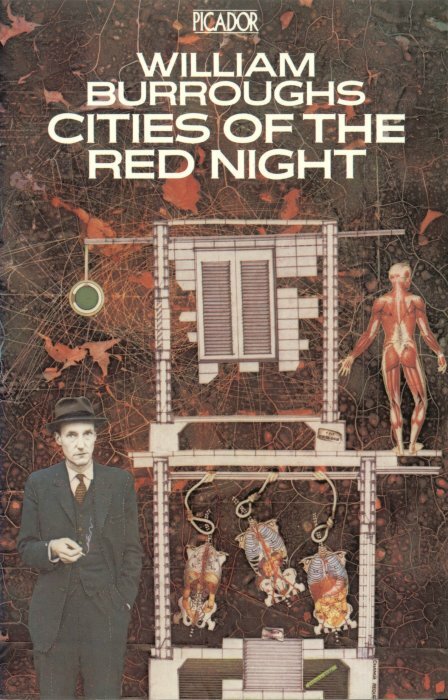 New York: Holt Rinehart & Winston 1981, an edition of 500 copies signed by Burroughs issued in a slipcase without dust jacket. There was also apparently a signed and lettered edition of this work, assumed to be 26 copies, which is not mentioned on the limitation page, but lettered copies have appeared for sale. Burroughs’ first new work of fiction in a decade and his first with a publisher willing to publicize and otherwise support sales of the book. New York: Holt Rinehart & Winston 1981, first trade edition, hardbound in dust jacket. 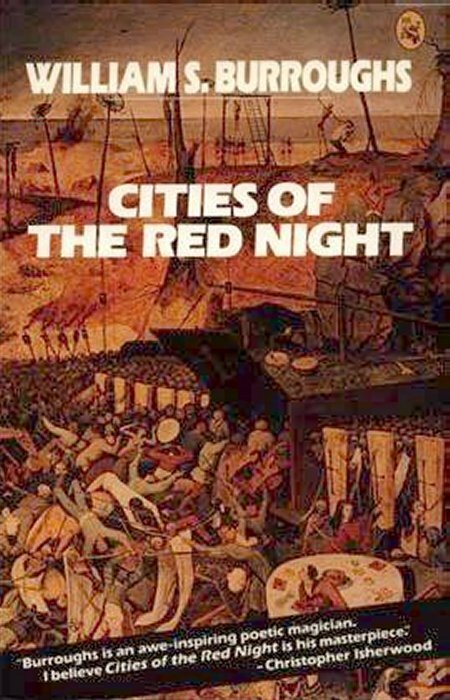 Full wrap-around cover art is “Triumph of the Dead” by Peter Brueghel courtesy of the Prado Museum in Madrid, selected as one of the Hundred Best Novels in Modern Fantasy by David Pringle for 1981. _____ “Uncorrected Proof Copy” with publisher’s promo sheet laid in, bound in purple wraps. London: John Calder 1981, first British edition, hardbound in dust jacket. New York: Owl Books 1982, first printing in pictorial wraps. London: Picador 1982, first British printing in pictorial wraps.